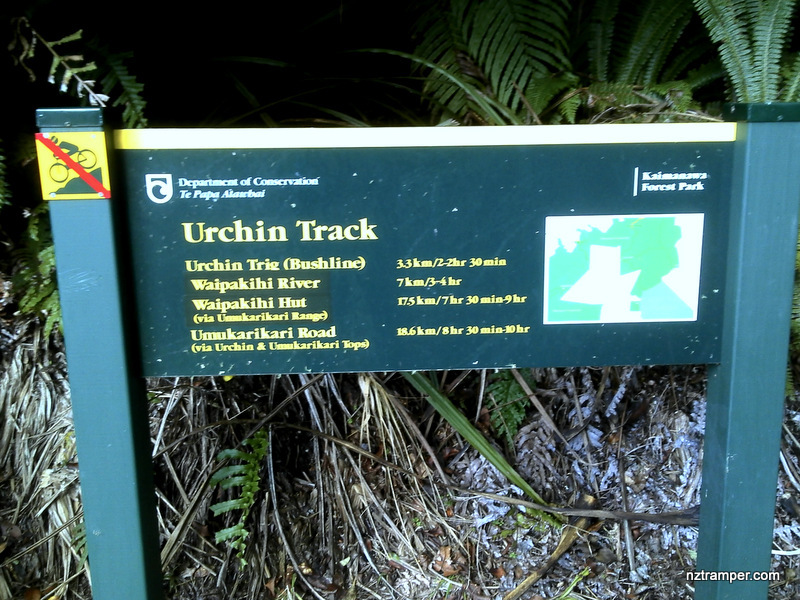 Trails: Umukarikari Track car park – Umukarikari Track to Sharp Cone – Urchin Track – Junction of Urchin Track and the track to Waipakahi River – the Urchin summit – Urchin Track car park. Note: Need car transfer. Start from Urchin Track car park will be little bit easier. Recommended hike it in snow season. 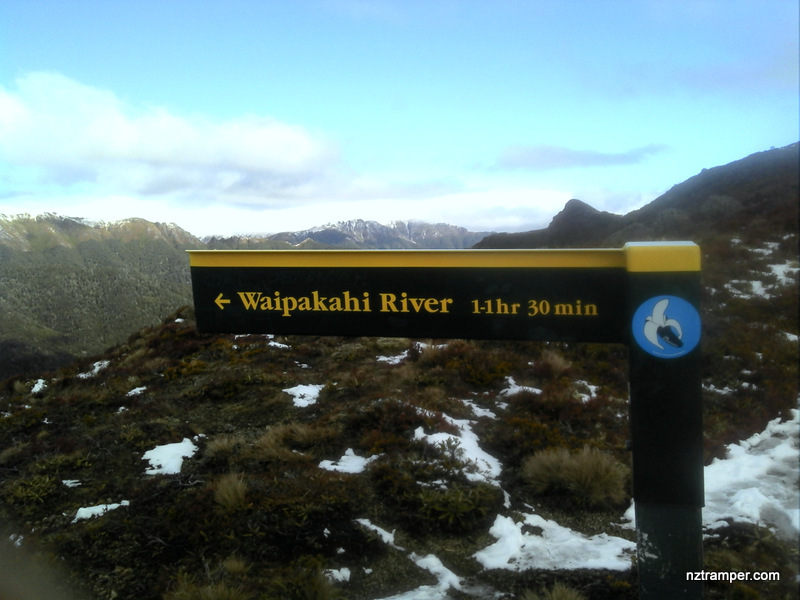 Experienced tramper only! 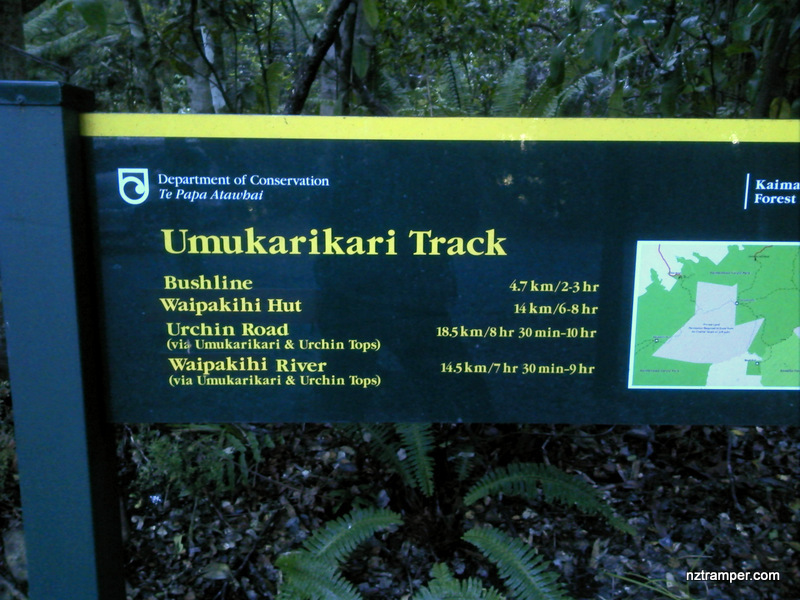 Car Park: The Umukarikari Track car park. The Urchin Track car park. 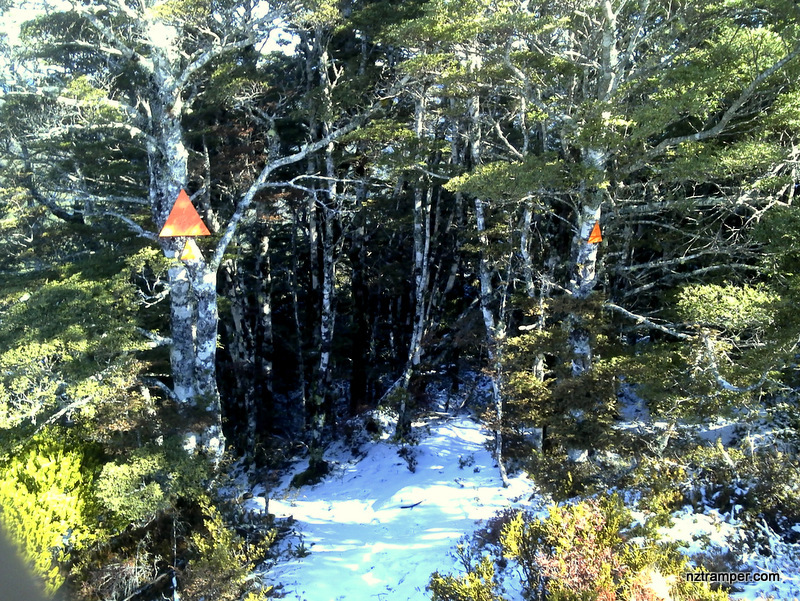 About 15 minutes drive from Turangi Town Centre. 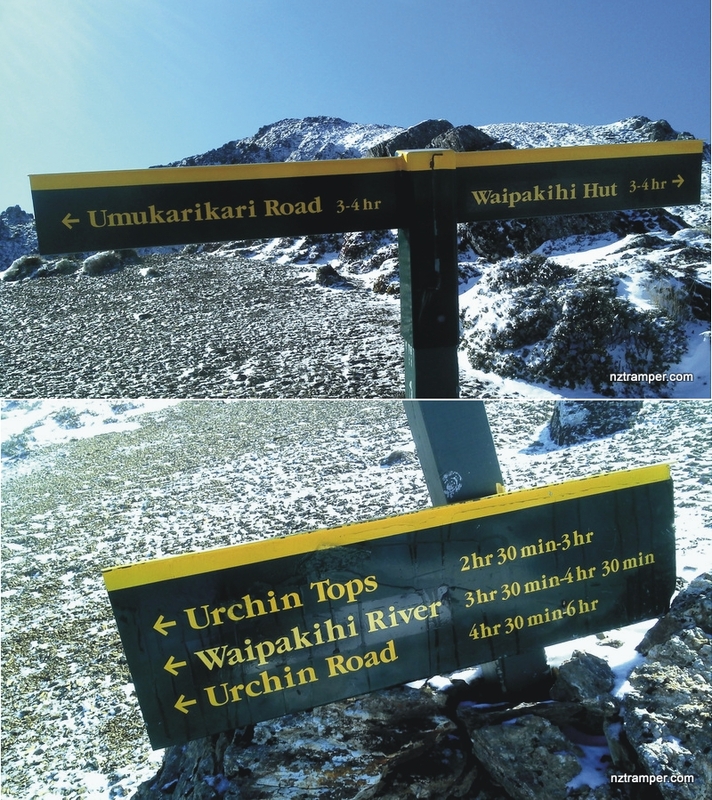 Total flat distance: 17.7 km, Climbing distance: 8.2 km, Descent distance: 7.2 km, Flat distance: 2.5 km, Maximum difference: 799 m, Final balance: 116.3 m.
The “Total Time” is my time in August which includes morning tea, lunch and breaks for photo shooting. That day was fine and the track was mostly snowed in. If you slow down to average 3 km/h plus 90 min stop then the total time will be around 7.5 hrs. Official record is 8.5 to 10 hrs.